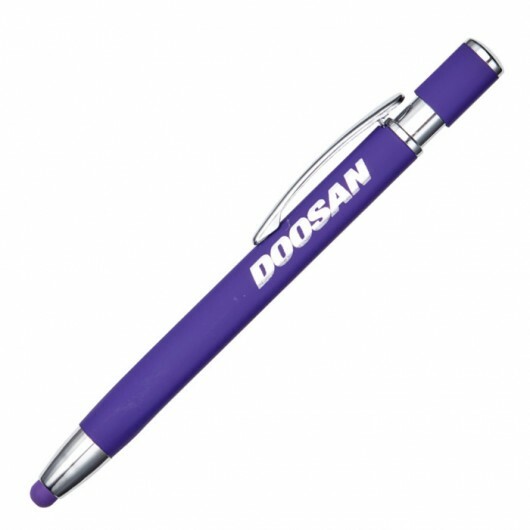 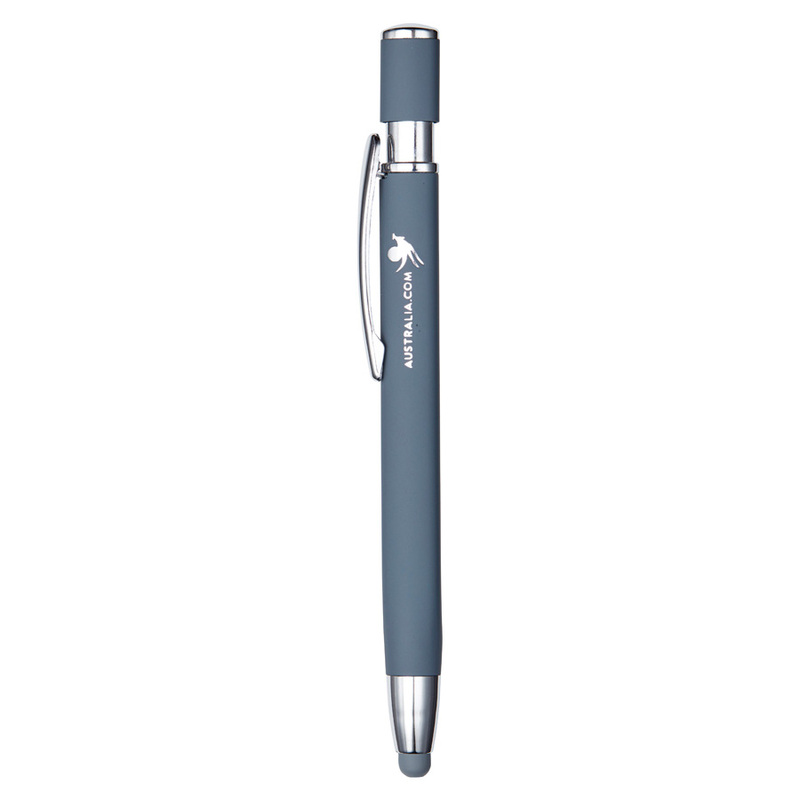 A metal pen with a unique rubberised finish and mirror finish laser engraving. Finished with a rubberised outer and metal inside these pens are a fantastic reflection of both quality and style. They have click action functionality and can be decorated with your choice of a mirror finish laser engraving or full colour print of your logo. 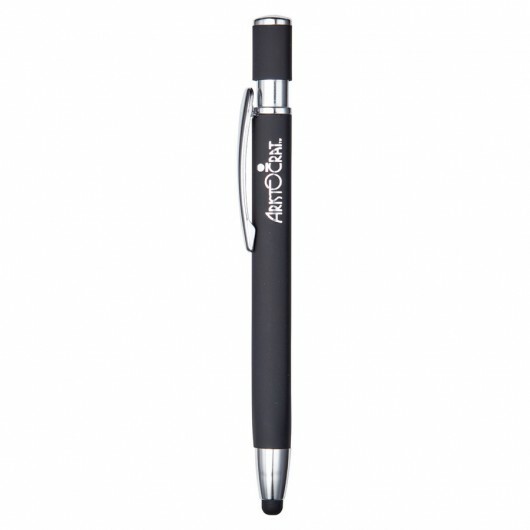 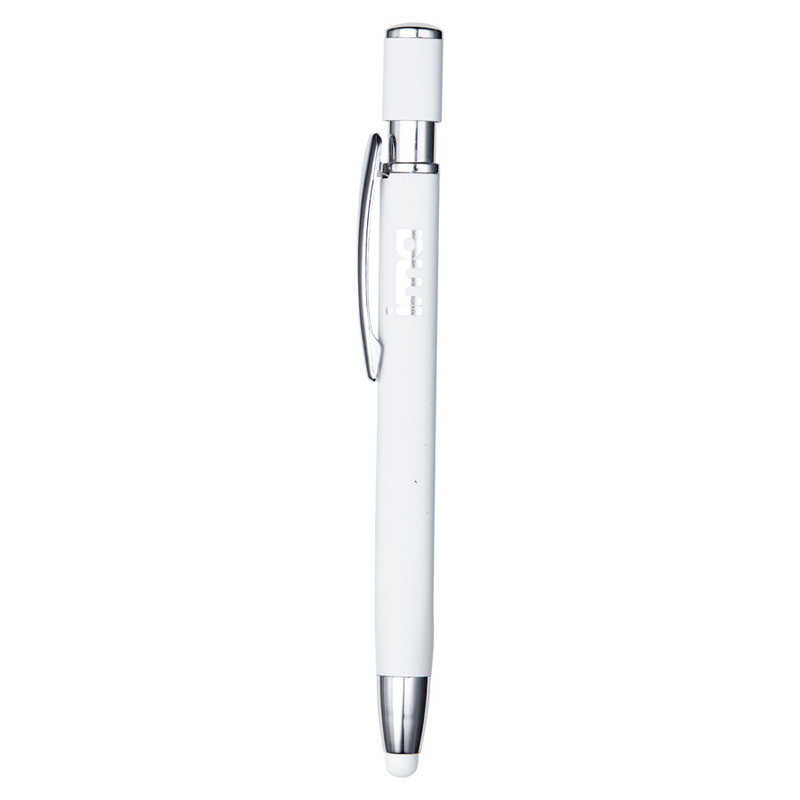 The pens come with black ink and also have a stylus tip for use on touch screen devices. 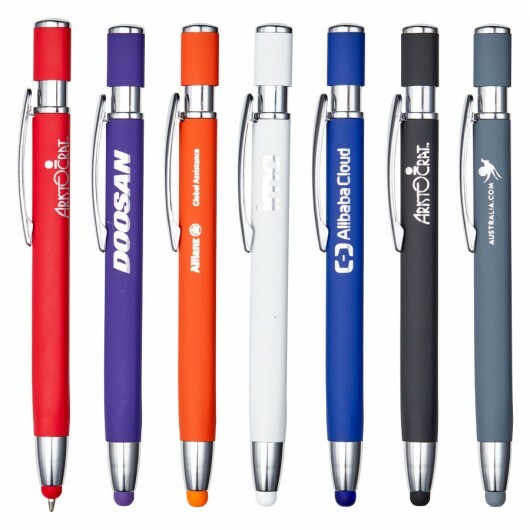 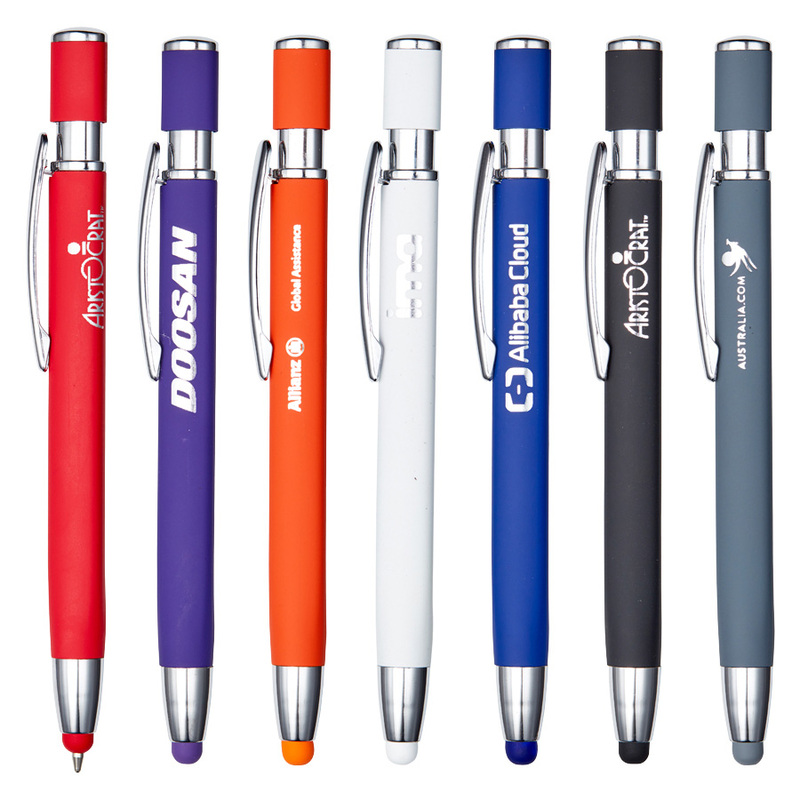 A versatile promotional product that you can guarantee people will want to take home.